01 « July « 2016 « Nothing in Biology Makes Sense! You know when you look at a giant box of chocolates, and you think “I’ll only have just the one” do you know you’re lying to yourself before you eat the whole box? I have been telling myself for months that I’m going to stop posting about the ongoing CRISPR saga. It should not surprise anyone that like the fat kid with the box of chocolate I’m not done. 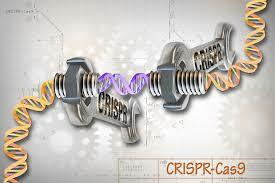 We have started human trials on CRISPR. That’s right, the dream, the money sink, the controversy over the patent, and somehow, less than a year later, we’re already at human trials. This is insane (but interesting?). What could possibly go wrong? Read the non-exhaustive list here.